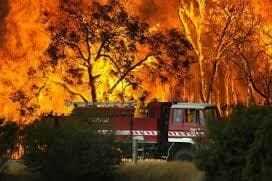 The 2009 Black Saturday bushfires in Victoria resulted in much loss of life and property damage. As a result, some of the largest criminal and civil investigations were launched, with particular focus on causation and electrical distribution systems. Maurice Blackburn Lawyers in Victoria led a class action that proceeded to trial, Matthews v SPI Electricity Pty Ltd & Ors, and ran for 16 months with over 100 witnesses. 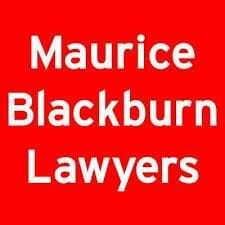 To support the technical investigation and analysis, Maurice Blackburn Lawyers needed expert witnesses from various engineering fields, both locally and globally. Finding a coordinated, competent, and timely service was critical, with complex and challenging arguments to manage. HRL was engaged by Maurice Blackburn as an expert witness for mechanical and materials engineering and bushfire ignition subjects. This involved conducting a number of experimental and controlled laboratory tests, and then presenting the findings to the court as evidence in the case that the fire commenced due to a conductor failure at Kilmore East. HRL worked closely with many statutory bodies, various opposing partners, and experts to provide an agreed and definitive testing protocol, technically-respected investigation, detailed assessment, and appropriate expert's reports. The multi-disciplinary team working on the matter was able to combine theoretical understanding and experience in electrical distribution systems and associated fields, in order to provide supporting testimony and evidence for the Plaintiff's complex case. Importantly, at short notice, HRL was able to review complex technical evidence, devise and arrange practical experimental rigs, and provide critical technical data to Counsel. Under intense focus and demands, HRL experts and their technical teams were able to provide solid testimony and supporting technical information to Counsel. The matter, which at the time was Australia's largest ever civil action, was successfully settled. The settlement involved over $494 million in payments to Class Action participants the largest in Australian history.